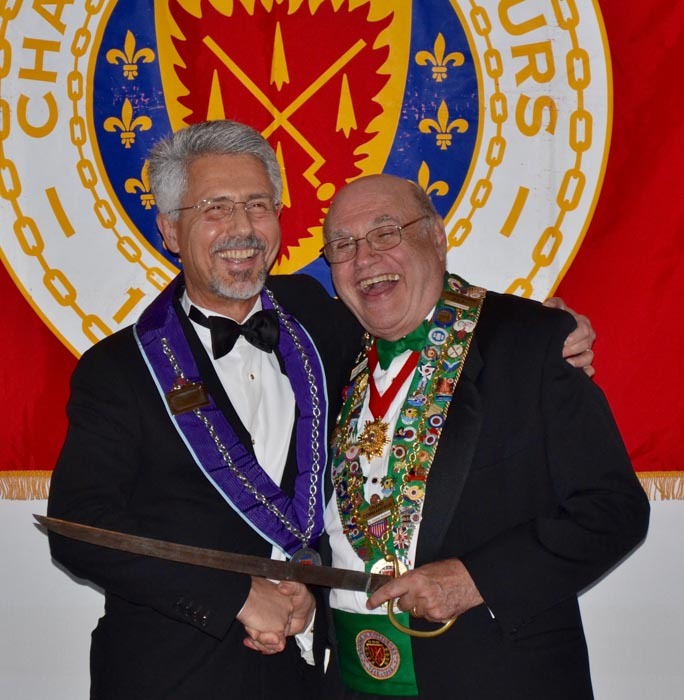 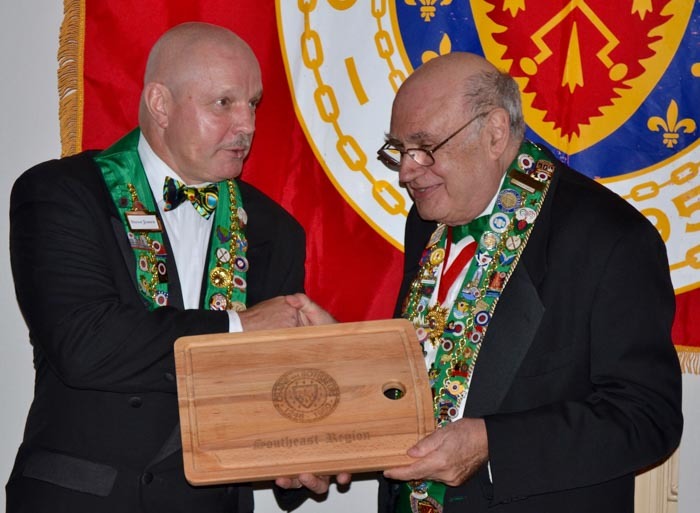 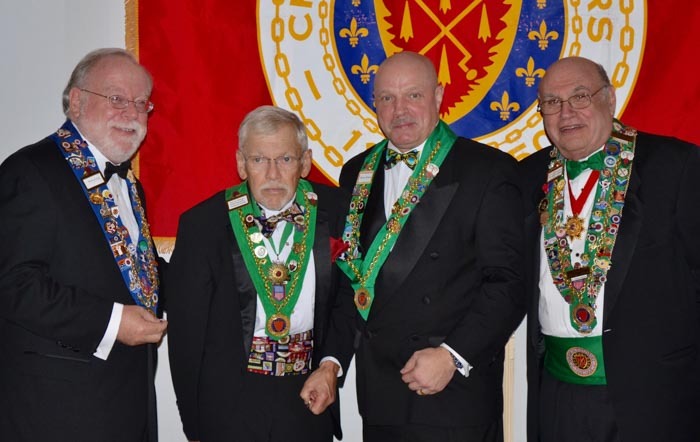 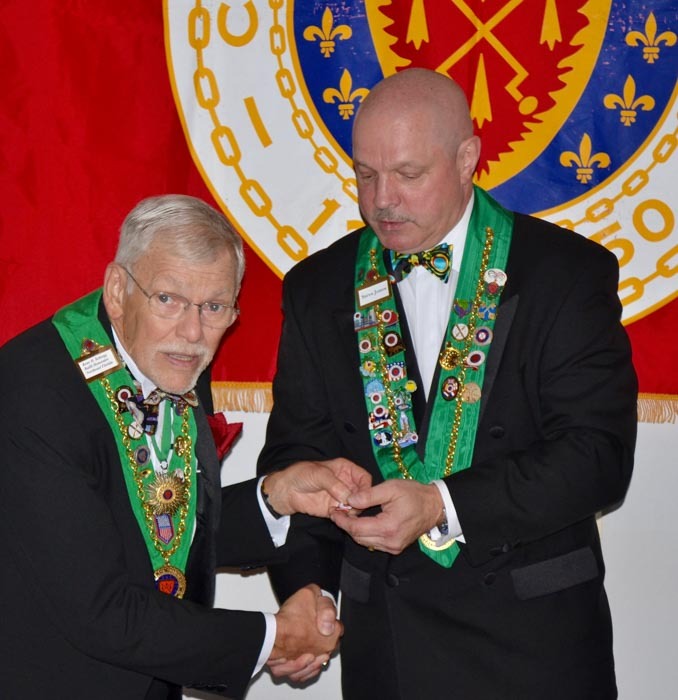 On September 18, Nord Est de la Floride held a combined Induction Ceremony for new members of La Chaîne and Mondiale. 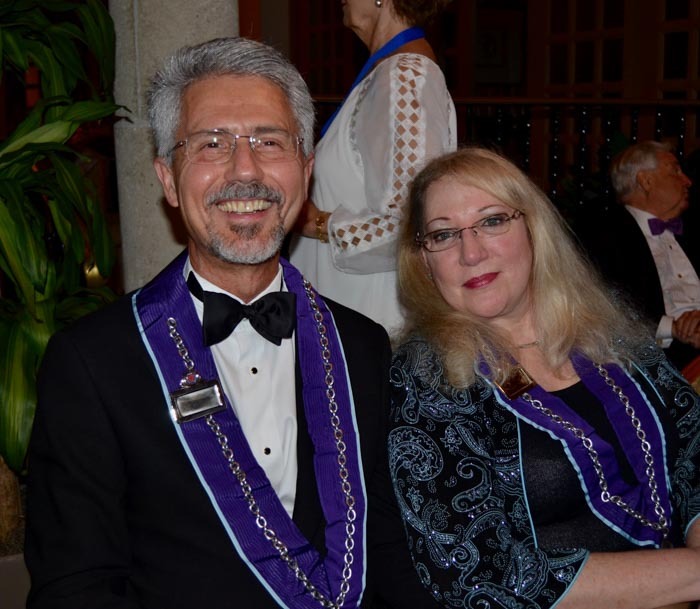 The Lodge and Club in Ponte Vedra, Florida, overlooking the Atlantic Ocean, was the venue for this distinguished event. 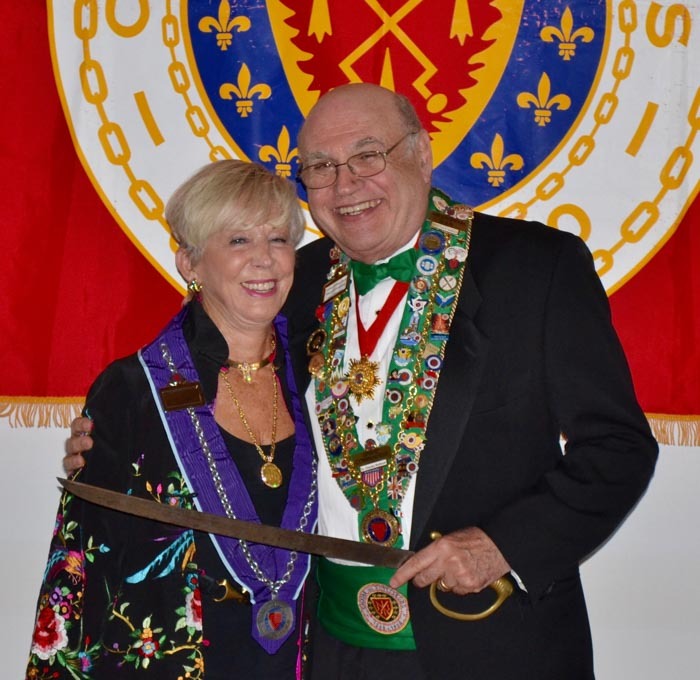 Bailli Provincial Charles Radlauer and Nord Est Bailli Steven Jones presided over the Induction ceremony to welcome Dames de la Chaîne Sue Mabry, Laura Sabo, Peggy Beck and Chevalier Richard Beck. 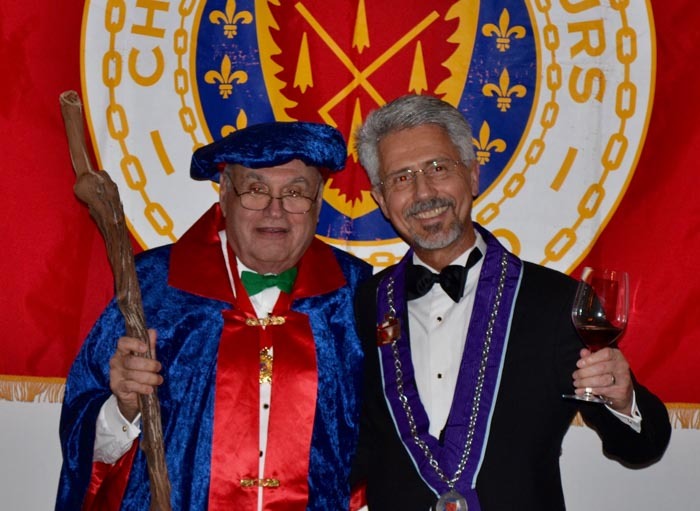 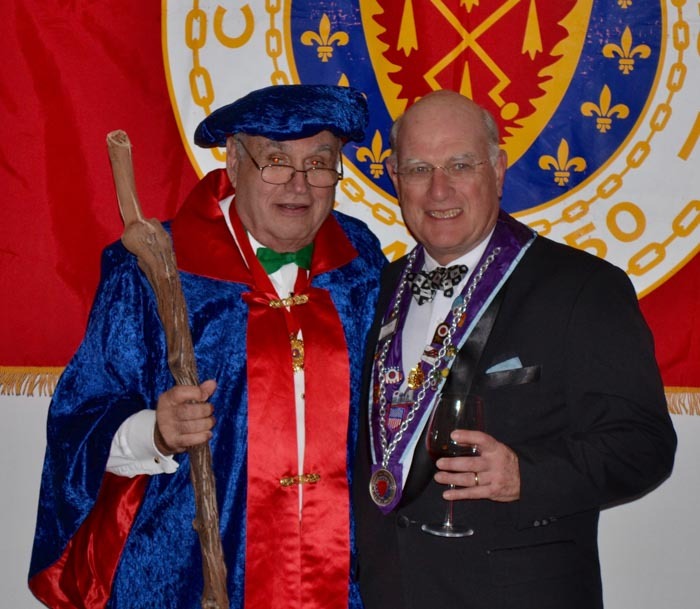 The occasion took on a more jovial mood as Mondiale Inductees Dames de Societe Laura Sabo, Peggy Beck, Chevaliers de Societe Richard Beck, Gary Richards and James C. Rooney were inducted by Bailli Provincial Charles Radlauer and welcomed with wine toasts. 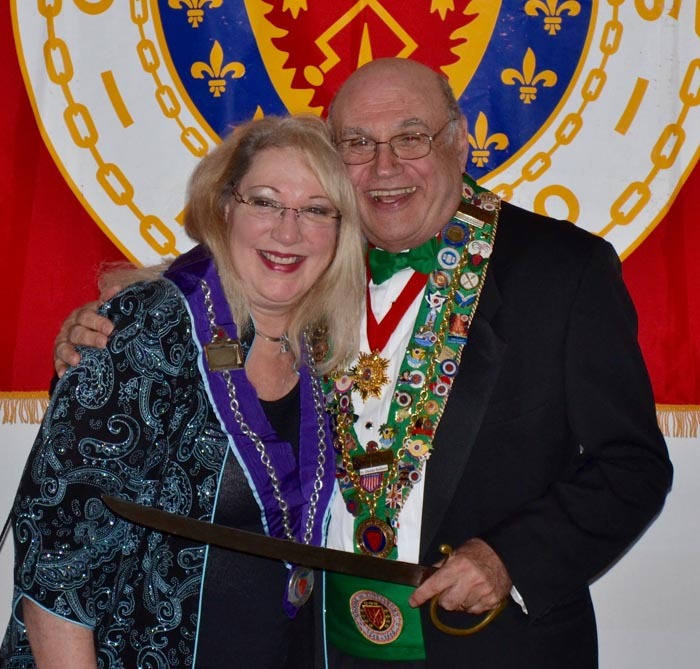 In honor of special guest Bailli of Miami, Nancy Radlauer, who was instrumental in setting up the scholarship program for culinary students, the Nord Est Board presented Bailli Provincial Charles and Bailli Nancy Radlauer a check for $2,500 for the Chaîne scholarship fund. 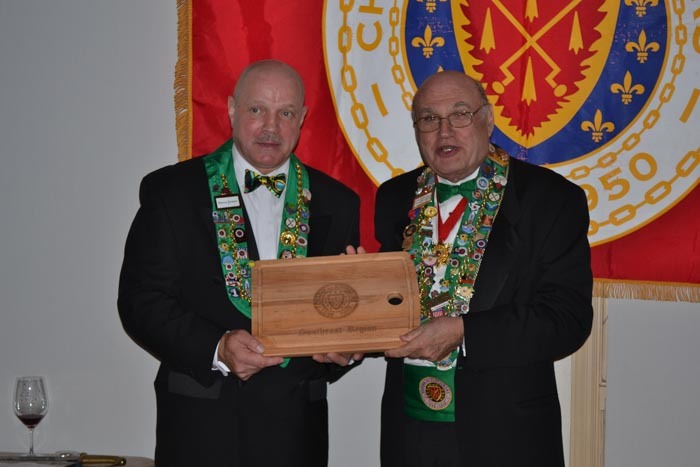 A special wooden plaque was presented to Bailli Steven Jones by Bailli Provincial Charles Radlauer in appreciation. 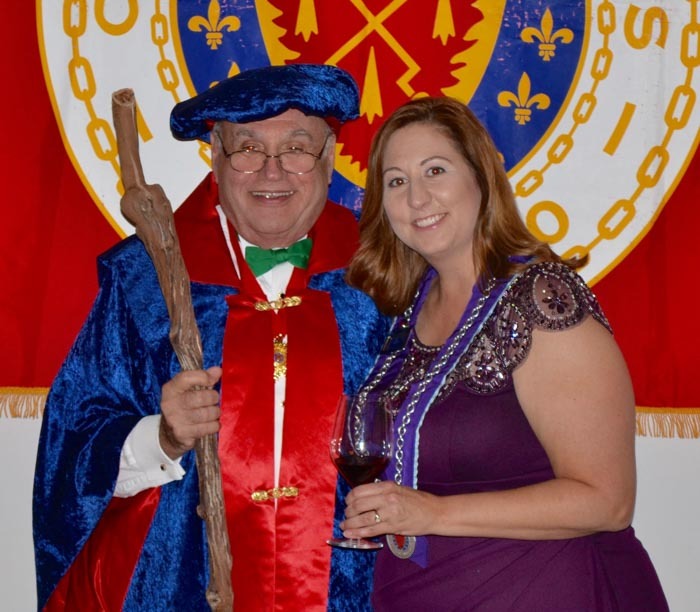 Everyone then sat down to a sophisticated menu which showed off an artistic blending of textures and flavors. 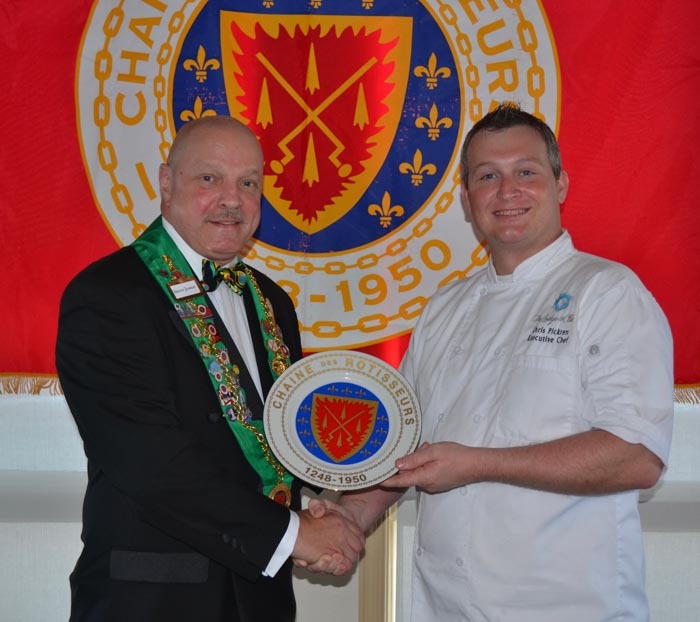 A La Chaine plate was then presented to Chef Chris Pickren and his staff for this delicious dining experience.